Floor Maintenance - How Often Should Surfaces Be Cleaned? 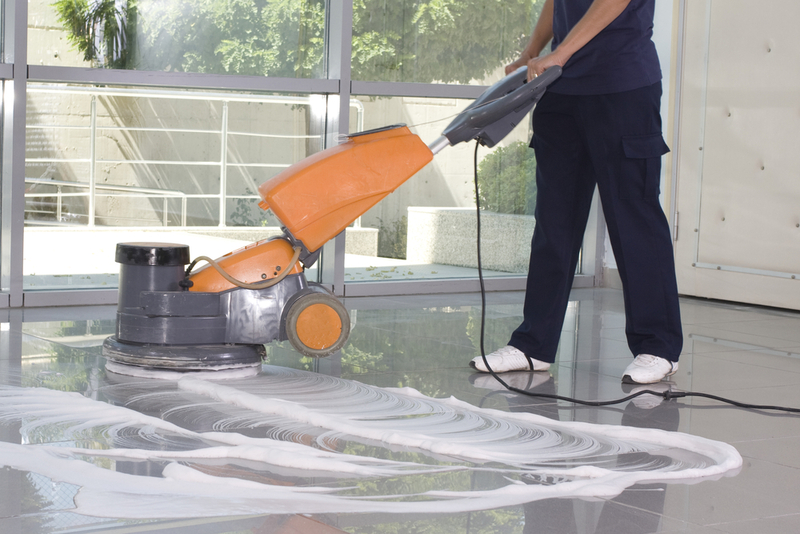 Floor Maintenance 101: How Often Should Hard Surfaces Be Cleaned? For many businesses in Greenville SC, a clean premise sends out a positive image to the public in turn boosting their brand image and even attracting new customers. This is why business owners and managers sought for commercial cleaning services to help in floor maintenance beyond the daily damp mopping. The big question is, how often should you clean these hard surfaces? Today, home and business décor include hard surface flooring like concrete, ceramic and resilient materials. They may appear very easy to clean and maintain so you may opt for normal dusting and damp mopping. What you may overlook is the soil on the hard flooring surface that builds up gradually which may result in erosion. To control this wear and tear, you’ll need to clean thoroughly your floor with the service of professionals who will help reduce the damage as well as the floor repair costs. For premises that don’t have too much traffic, a lot of work may not be needed to maintain the floor. However, high traffic facilities require quality regular floor maintenance services from professionally trained persons. Hard floor finishing can quickly wear out especially in high traffic facilities; this removes the protective coats making your floors look dull; a sight you wouldn’t want your clients to see. Every day as you run your daily errands in the business, your floor gets spilled on, scratched every time you drag chairs across and have small dents whenever objects drop on the surface. Everything that’s regularly rolled across the floor like carts will also cause wear and tear. When this happens, you’ll be left with two choices, to leave your floor looking as shabby as it is or sought for floor repair or replacement services that will mean you’ll have to take money from the business. It doesn’t mean that because you have a good caretaker, they’re trained and prepared to maintain your floors effectively. 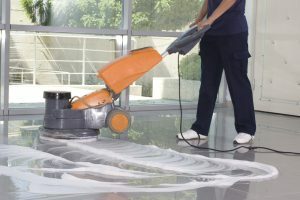 Professional cleaning services offer hard floor maintenance services by employing several techniques like machine scrubbing and buffing to maintain their shine and reduce the wear and tear impact. Greenville is a highly populated city. Therefore, it has numerous activities and businesses developing every day. In your business, you may have high traffic along with other numerous activities that take place in the building. For this reason, you’ll require frequent floor maintenance to give it a newly polished look that reduces wear and tear. A good hard floor cleaning company will help render the best services to your floor in turn reducing your costs of repairing the floor and replacing the surfaces. Your business appearance plays a big role in defining who you are as a business. To avoid having dull and dirty floors within your facility, you’ll need to seek the services of professionals highly trained and experienced enough to deal with hard floor surfaces. These experts employ the right floor cleaning procedures using the right equipment to be able to give constantly your floor that beautiful look while reducing the everyday wear and tear. And yes, floor maintenance in Greenville SC should frequently be done; it depends on traffic in your business and the weather conditions.